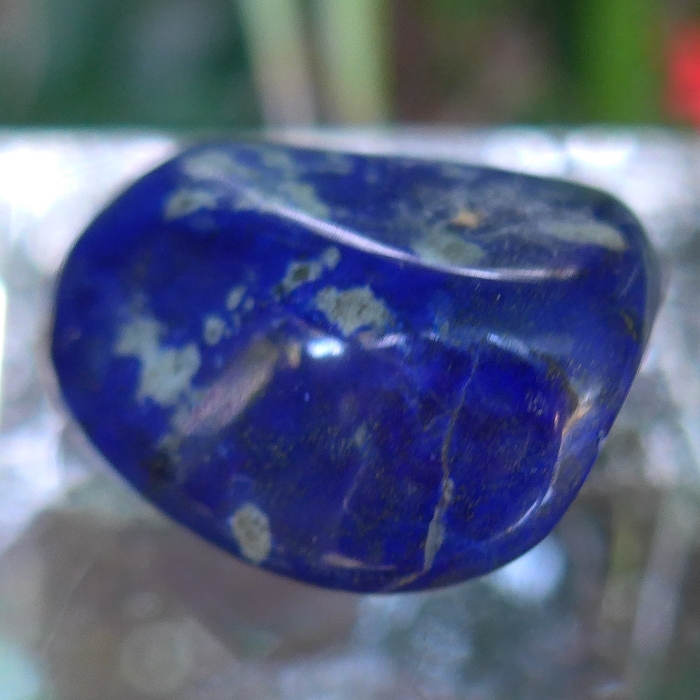 Dimensions (HxWxD): 1.25" x 1.125" x .75"
This beautiful specimen is a 1.125 inch long freeform Medicine Bag Polished Lapis Nugget, weighing 20 grams or .705 ounces. 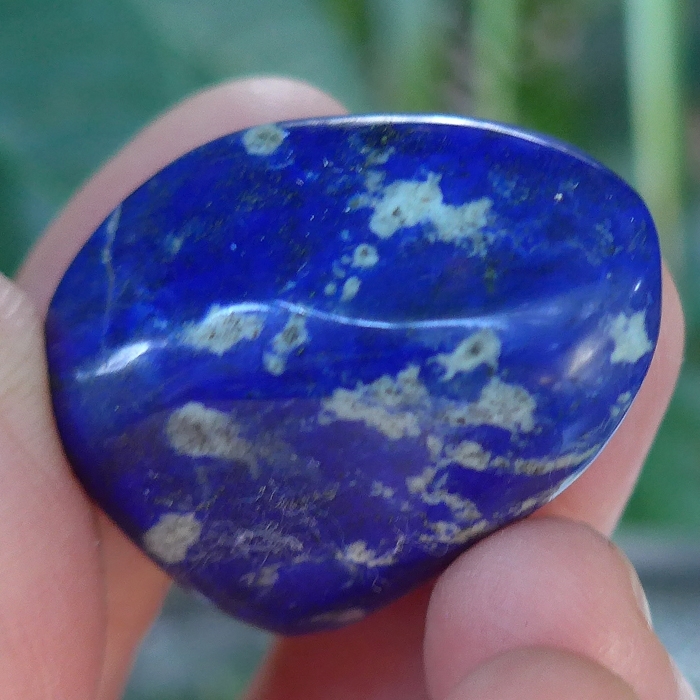 Lapis Lazuli means “blue stone”. 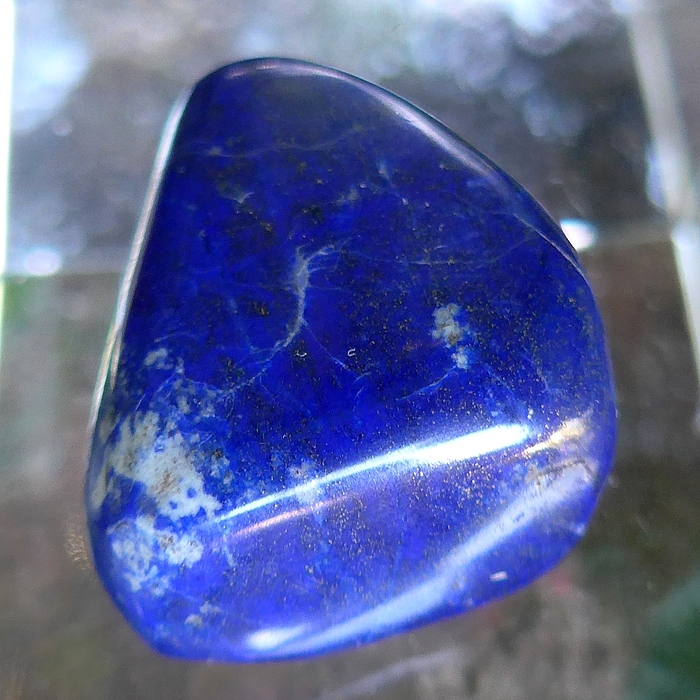 Lapis is an opaque gemstone, slightly softer than quartz crystal with a strong fluorescence under black lights. Lapis is composed of an amalgam of several minerals: lazurite, augite, calcite, diopside, enstatite, mica, hornblende, nosean, sodalite, and often pyrite. This variable composition results in a wide variety of types of Lapis exhibiting colors ranging from deep blue and violet to a greenish-blue. Read more about quartz crystal and gemstones at the SatyaCenter.com Crystalpedia. Check out our FREE e-book Spirits of Stone: A Lightworker's Guide to Crystals and Gemstones for Healing and Meditation for an overview of the metaphysical and mineralogical properties of quartz crystal and various types og emstones, plus a step-by-step guide explaining how to cleanse, charge, and program quartz crystals for healing, meditation and other spiritual purposes. The above weight is shipping weight. Net Weight is 20 gms. or .705 oz.